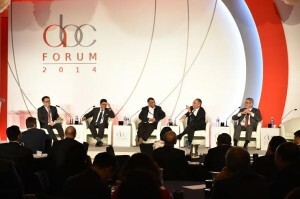 More than 300 leaders from top businesses from across the ASEAN region converged at the ASEAN Business Club (ABC) Forum 2014 on September 8 and 9 to tackle trade and industry issues and support the implementation of one ASEAN Economic Community (AEC). With the theme of “ASEAN Game Changer”, the ABC Forum 2014 saw a gathering of more than 300 business leaders from across the ASEAN region. Seated from left to right: Patrick Walujo, Managing Partner, Northstar Group; Pahala N. Mansury, Director of Finance & Strategy, Bank Mandiri; Tan Sri Tony Fernandes, Group CEO, AirAsia Group; Dato’ Sri Nazir Razak, Chairman, CIMB Group; and Jaime Augusto Zobel de Ayala, Chairman & CEO, Ayala Corp exchange views at Plenary Session 1 of the forum held in Singapore on 8 September 2014. The critical consideration derived from the forum was the readiness of governments and ASEAN member states for an integrated economic region under the AEC and the role that ASEAN business leaders can play to accelerate these efforts and harness ASEAN’s potential. In his opening address, ASEAN Business Club Forum Chairman and Group CEO of AirAsia Tan Sri Tony Fernandes stressed the importance of co-operation between the public sector and businesses in the region as well as a stronger ASEAN secretariat in order to capitalise on ASEAN’s progress. The Guest of Honour at the forum was The Honourable Lim Hng Kiang, Minister of Trade & Industry. Echoing the Chairman’s remark, he emphasised the need for eliminating non-tariff barriers as an essential element of a prosperous and fully integrated ASEAN nation. The Hon. Dr. Kan Zaw, Union Minister for National Planning and Economic Development of Myanmar also Chairman of ASEAN Economic Ministers’ Meeting 2014 echoed the importance of the private sector’s role. In a similar format as the inaugural Network ASEAN Forum last year, the two-day forum saw another six Lifting-The-Barriers Roundtables, a sector specific analysis of the current trade barriers and bottlenecks impeding an integrated market. The targeted sectors this year were Legal & Tax, championed by ZICOlaw and EY, Automotive & Manufacturing championed by Jardine Cycle & Carriage and AAPICO, Financial Services & Capital Markets, headed by CIMB and DBS, Minerals, Oil & Gas by SapuraKencana & Ilthabi Rekatama, Food & Beverage Industry spearheaded by FIA & AFBA, and Retail, championed by Lippo Group & IMI. The discussion points stemming from the forum will then be incorporated into Lifting-The-Barriers reports, a set of white papers, which will be submitted to the relevant ASEAN policy bodies. Independent research partners Frost & Sullivan, AT Kearney, ZICOlaw, Ernst & Young, Bain & Company, Accenture and Food Industry Asia are spearheading research for the reports. “We need to take stock of and tackle the non-tariff-barriers, which are the real inhibitors of ASEAN integration and submit to the governments, in particular Malaysia – the Chair of ASEAN 2015,” said Dato’ Sri Nazir Razak, Chairman of CIMB Group. The forum also saw the debut of Idea Capsules, featuring 8 innovative talks focusing on emerging startups from around the region and beyond. 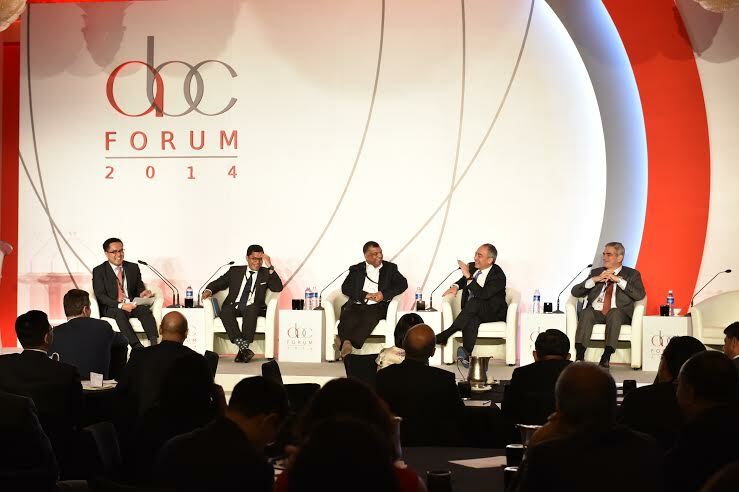 This is a new addition to the ABC Forum and underlined the importance of start-ups and SMEs in the ASEAN agenda. The ABC 4th Annual Gala Dinner was held alongside the forum. Speakers at the dinner included His Excellency Ambassador Kirk Wagar, U.S. Ambassador to Singapore who spoke about America’s continued and significant contribution and support to the ASEAN integration agenda. Former Vice Chancellor of Germany, Dr. Philipp Rösler, who is the Managing Director and Member of the Managing Board of the World Economic Forum, gave a speech on transformation in a disruptive world. The forum is organised by the ASEAN Business Club and the CIMB ASEAN Research Institute (CARI), a public organization committed to the development of the ASEAN Economic Community and which serves as the secretariat of the ASEAN Business Club. This year’s forum was sponsored by Silverlake Axis, DBS Bank and CIMB, among others.